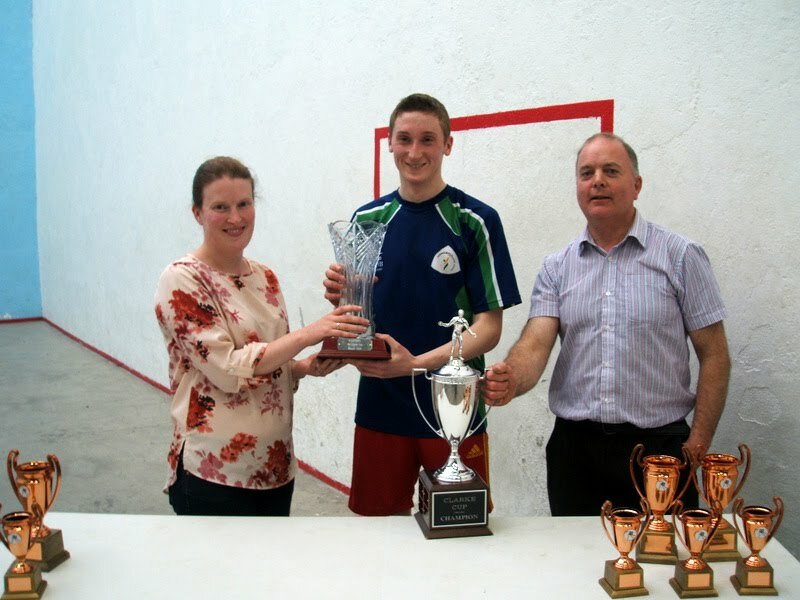 The Kilfane Handball Club tournament Final was played on Friday 27th in front of a large crowd. After many great games in the earlier rounds it was down to two Kells players Brendan Burke and Ger McGrath to see who would be crowned champion. In the first game Brendan raced into a 13 to 5 lead but Ger clawed it back to lead 19-16, Brendanfinished strong to take the first game 21 -19. In the second game Brendan played brilliant handball while Ger was unlucky with lots of kill shots that missed narrowly. 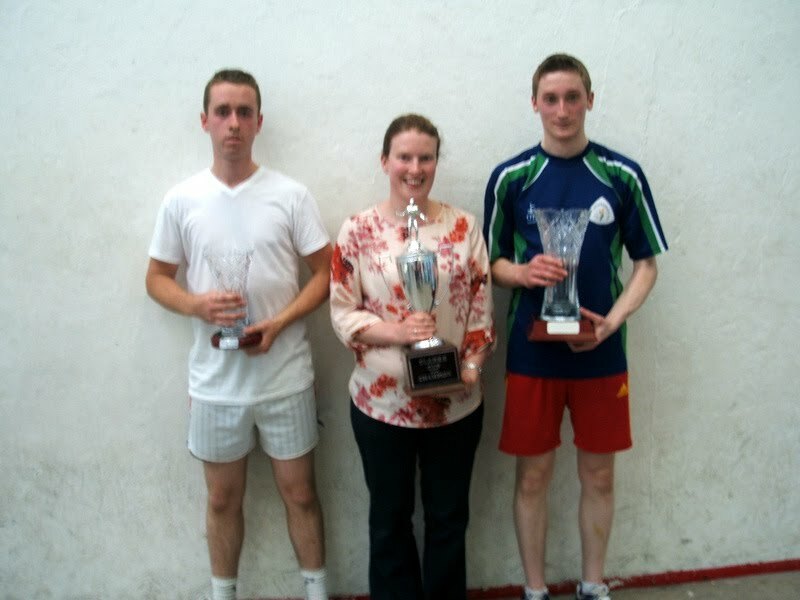 Brendan took the second game 21-4 and crowned Clarke Cup Champion for 2012. After the game Tom O'Keeffe & Chairman Jim Kenny McGrath assisted Pamela O 'Keeffe who was representing the Hal Clarke family to make the presentations to Winner Brendan, Runner up Ger and all the group winners and runners up.The night was finished off with teas, sandwiches, buns etc in the Club room. The Club would like to thank The Clarke Family and all the players who played in the tournament and helped to make it such a success for us.